With two plug-in hybrids and one fully electric vehicle already in their line-up, Ford sees its current offering as a reflection of what Canadians are looking for today and what they could be looking for in the future. “It’s a part of our entire sustainability portrait,” said Stephanie Janczack, the Manager of Global EV infrastructure for Ford Motor Company’s Corporate Division. 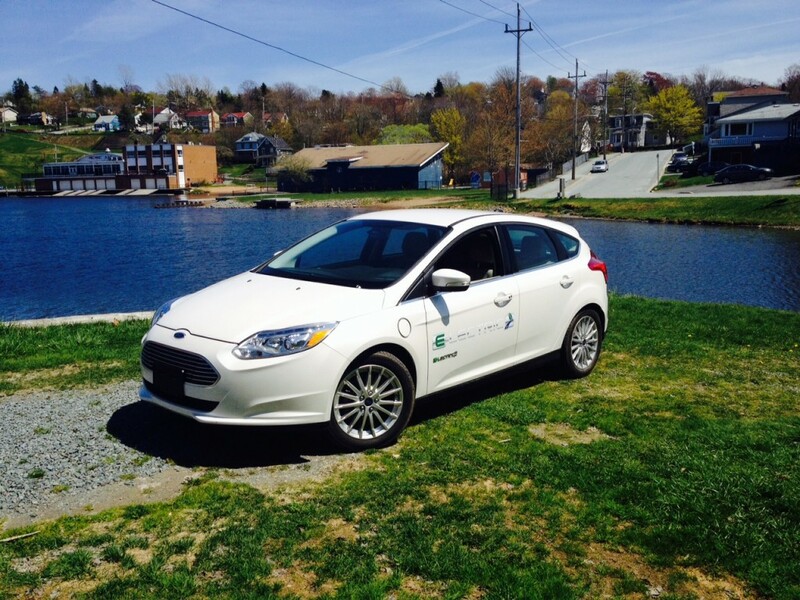 Janczack was in Halifax for an electric vehicle conference. “We’re offering the power of choice. [The customer] comes in and they pick the product that meets they’re needs and for some people an electric vehicle does meet their needs because shorter trips may fit very well with an electric vehicle,” she continued. The company’s sole fully electric vehicle is based on a conventional Ford Focus hatchback. It gets a 1-speed automatic and a 107 kW electric motor. Aside from a few electric badges, a unique grille and headlight design along with exclusive alloy wheels, the average consumer would likely be unable to identify it as an electric car. That is, until you plug it in and teal blue lighting surrounding the charge portal lights up. One of the main advantages of fully electric vehicles is performance. Most electric vehicles have great low-end torque and the Focus EV is no exceptional. Put your foot down and you’re off as quickly as most performance cars. But just like vehicles with internal combustion engines, the heavier your right foot, the more fuel – or in this case, electricity – you lose. The more obvious advantage of EV’s is when you stop at the gas station it’s for a snack or a drink only. However, electric vehicles still faces some current-day challenges, notes Janczack. Among them, a lack of infrastructure nation-wide along with a cost equation that is still challenging. Ford’s electric Focus starts at $35,449. That’s close to a $19,000 premium over a base gas engine Focus. A $36,000 electric vehicle from Ford Motor Company would likely be an easier pill to swallow if it wore a premium badge such as Lincoln. Janczack did not rule out the possibility of offering a premium electric vehicle, she says that are constantly monitoring the market place and customer feedback. The electric Focus gets a range of 122 kilometers. For most, that is plenty to get to and from work along with running errands along the way. However another challege that EV’s face is range anxiety where the worry is running out of juice before you can get yourself to a charge station. That’s where the company’s plug-in vehicles come into play. The Fusion Energi and C-MAX Energi offer pure electric drive that can revert to a regular hybrid whenever the electric motor runs out of electricity. But perhaps the biggest challenge facing electric vehicles are the disincentives and lack of education and outreach. Currently, only Ontario, Quebec and British Columbia offer subsidies for electric vehicles. “Right now the problem is people are so unfamiliar with the product. And we don’t get them making that mental equation of [EV’s] are more expensive, but I’m saving on gas. They’re not looking at that 4 year or 5 year payback, they’re looking at what is the price that I have to pay per month on my lease,” Janczack says. However fully electric vehicles have many marketable attributes. They can be marketed as a high-tech vehicle, an environmentally conscious vehicle, a performance vehicle and a money saving vehicle. Because of this broad appeal, Jaczack says Ford has sold over 2,500 battery electric vehicles in North America per year and 25,000 plug-in hybrids. So what’s next for Ford? Continuing to invest in the technology to help drive down initial cost. Ford sees a right future for electric vehicles and they are currently eyeing the Chinese market for their electrified vehicles. 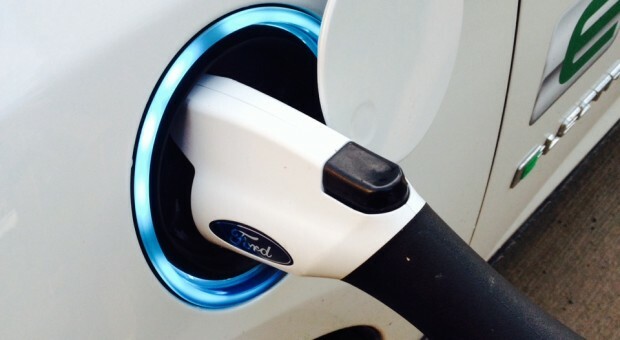 For more information on electrified vehicles from Ford, visit Ford.ca.